Hey guys! 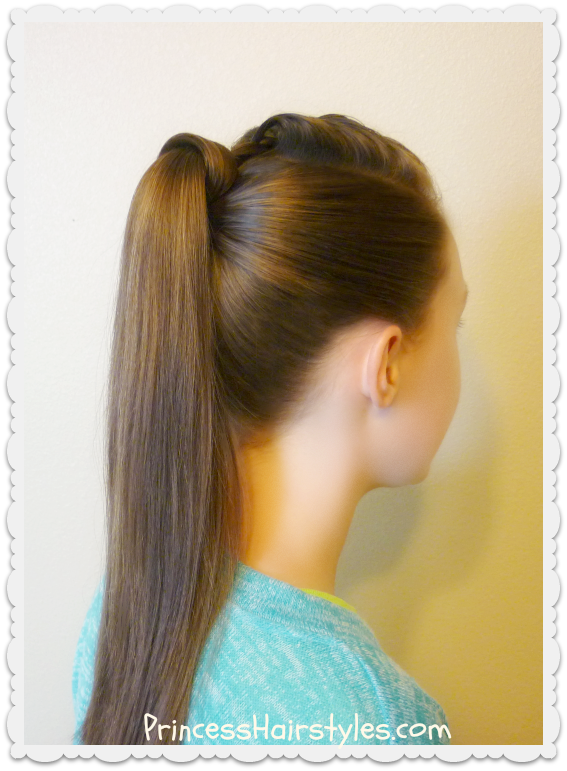 We all love a cute and classic ponytail. And a popular, trendy, and well known "trick" of wrapping hair around the top of the ponytail makes it a much more polished and finished looking hairstyle. 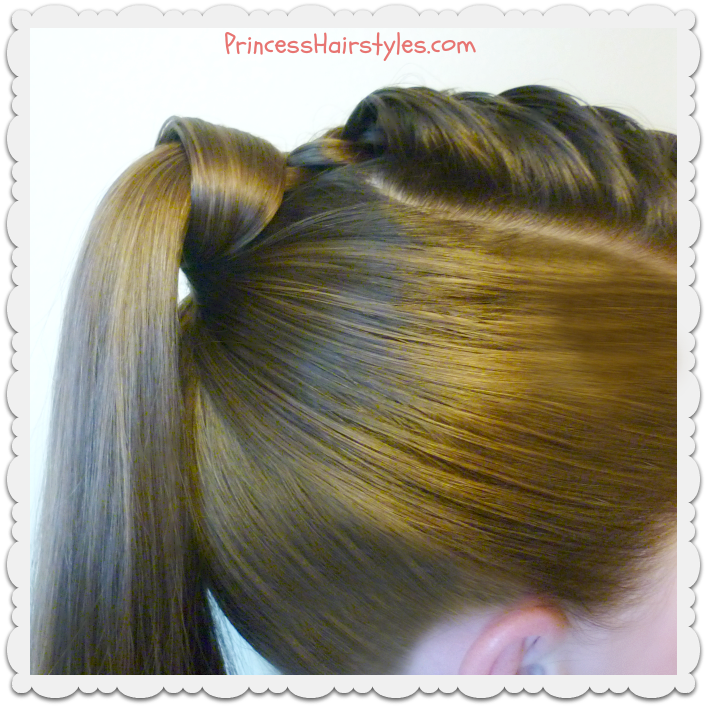 This simple technique can take an otherwise lazy or casual ponytail into being fancy enough to wear to a red carpet event, a prom, or a wedding! But, how many of us struggle with wrapping the hair around the ponytail and then getting it to stay? Maybe it is just us, but we don't love the "bobby pin method" as it never holds all of the ends tucked in, the pins end up sliding out... and it can hurt. 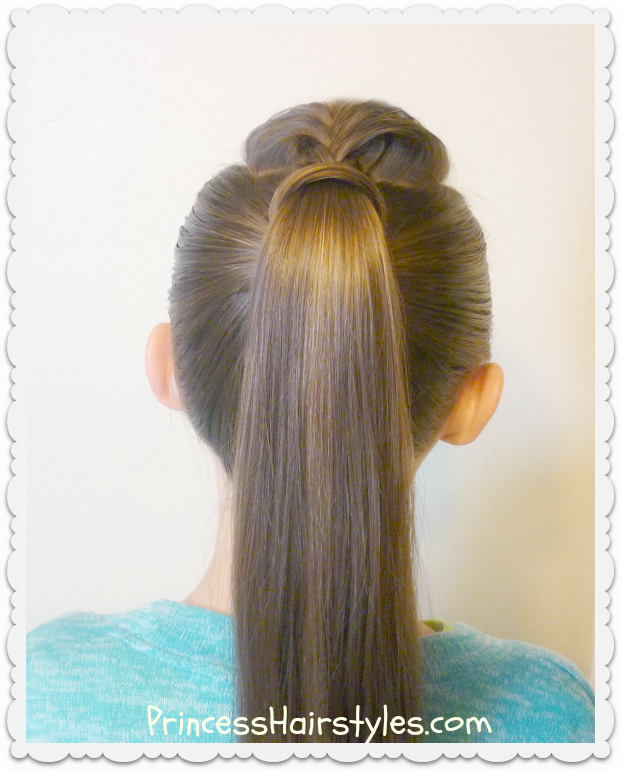 We have also tried several methods using elastics and topsy tails, but none of them have worked perfectly for us and it usually ends up being a struggle (which kind of defeats the purpose of a seemingly effortless look.) We actually came across the method shown in our hair tutorial (below) when we filmed our "unicorn hairstyle" a few months ago. But, I'm guessing if you are wanting to do a simple hair wrapped ponytail, you most likely wouldn't think to look for instructions by way of a unicorn hairstyle video lol, so we wanted to make this separate tutorial for you today. 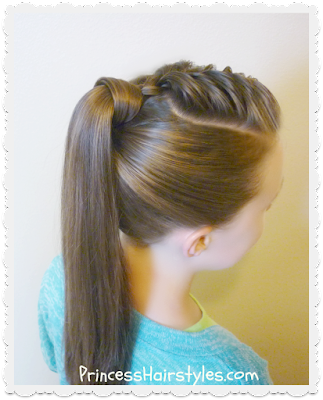 We added a small french braid with the front/top section of her hair before adding it in to the ponytail. We also share a fun "hair hack" by pushing forward on the braid to create extra volume for more of a faux hawk look. (You will want to make your braid slightly loose for optimal results with this hack.) The french braid is optional and we do have a french braiding tutorial if you don't know how to do that. You could also bring her bangs straight back of you wanted, or you could add a pompadour in the front instead if you prefer. Pomade, gel, hair wax, finishing hairspray, etc. This hairstyle should work with long hair, medium hair, straight hair, curly hair, and wavy hair.